Magic Holidays is a vacation ownership product from Panoramic Holidays Ltd. What makes this product different is that it allows customers to own tomorrow's holidays at today's prices, giving guests an experience of ‘Unforgettable Times’! Vacation ownership is currently the fastest growing leisure segment in the tourism industry. According to statistics there are over 350,000 families in India owning timeshare vacations and it is only set to grow. Magic Holidays has been able to create waves in the segment with its customer-centric approach that offers them an experience like never before. A Magic Holidays customer is guaranteed of timely booking at any of their resorts in some of the best locations in India and abroad. In addition, they get a value-for-money package, which is an advantage in these inflation-ridden times. An affiliation with RCI (Resort Condominium International: Subsidiary of Wyndham Worldwide Corporation) the largest timeshare vacation exchange network in the world through association with brands like Ramada, Baymont Inn and Suites, Wingate Inn, etc., Magic Holidays gives customers a wide choice of holidaying in more than 103 countries. The resort locations range from mountain slopes to coastal plains; providing a variety of accommodation across 4,000+ resorts worldwide. Magic Holidays’ association with RCI allows its customers to become an automatic member of this prestigious international network. This also enables them to choose from the worldwide network of resorts that are located in over 6,500 places spread across the globe in more than 100 countries. The resorts are situated in places right from Tahiti to Valencia in Spain and even in the Bahamas, thereby enabling members to take their pick from beach, family, skiing and even wellness holiday spots. 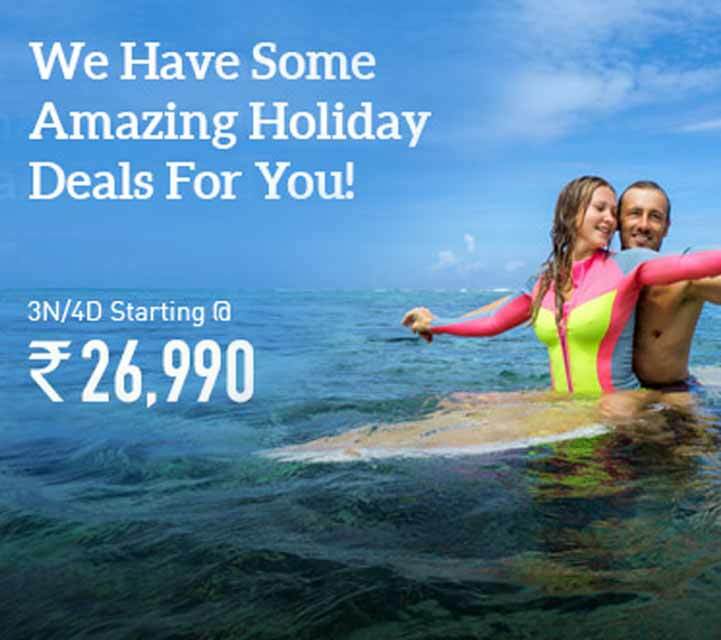 Travel Hot, a brand of Panoramic Tour & Travels Ltd. is India’s fastest growing online travel portal. Travel Hot is a dynamic vacation and destination planning company that offers an interesting and eclectic array of travel trips. We offer comprehensive services in domestic & international packages with a wide range of sightseeing tours and experiences to suit every individual’s taste and budget. Being an IATA approved travel agent we have reliable associations with all major tourism centres across the world. We are backed by superior technology and excellent customer services with unmatched convenience of 24X7 expert supports guaranteed a best quality of service.